Made from strong steel with secure cylinder lock, supplied with 2 keys. Perfect for workshop and industrial environments. 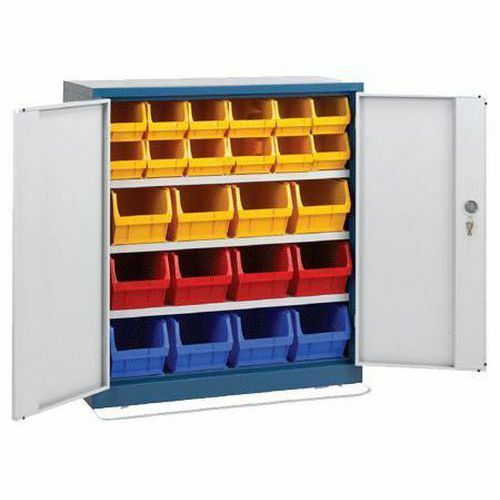 Supplied with 3 adjustable shelves for flexible storage. Bin colour supplied as illustrated. Durable steel half height cupboards with shelves for holding plastic bins and other items (bins included).